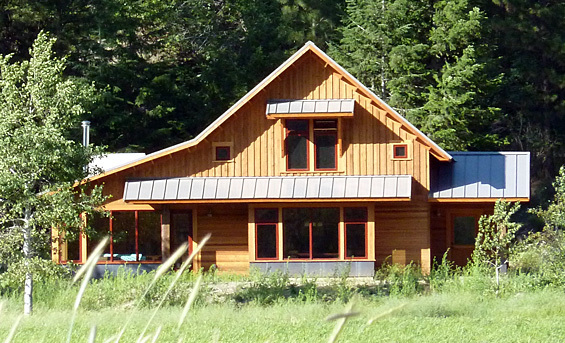 A newly constructed cabin with two bedrooms and a loft, situated adjacent to a sunny meadow in the upper Methow Valley. 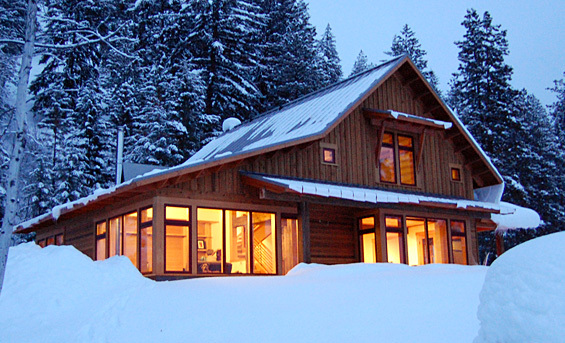 Blend traditional cabin forms with modern lines and detail. Create a retreat that is comfortable and cozy and at the same time bright and open. 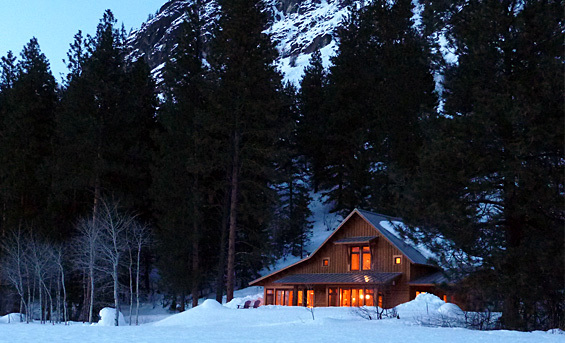 The cabin is sited to frame the mountain and valley views. The floor plan is organized around family spaces that flow seamlessly. 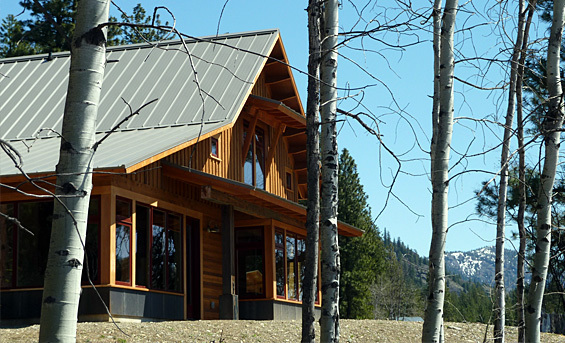 The cabin’s massing, detail and materials are designed for a rooted, timeless quality. The roof form compliments the adjacent mountain and deflects the prevailing winds. 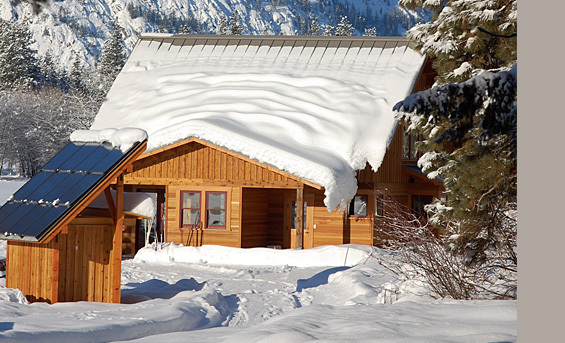 Additionally the eave lines mitigate the sun exposure and effectively manage snow. Sustainability measures include quality construction, high value insulation, radiant floor heat, solar photovoltaic power shed, and extensive used of reclaimed and recycled materials.